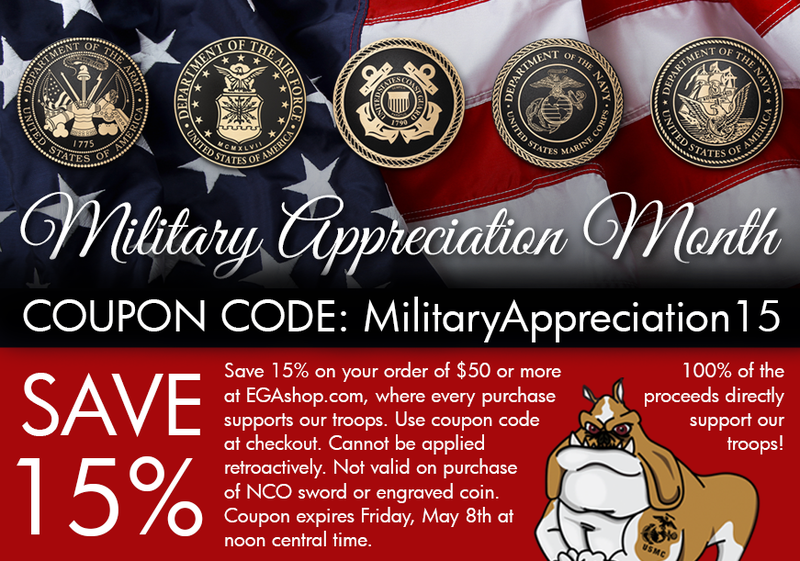 May is Military Appreciation Month and we'd like to take this opportunity to thank the men and women serving our country around the world. Your sacrifice is greatly appreciated. Learn more in our first article. 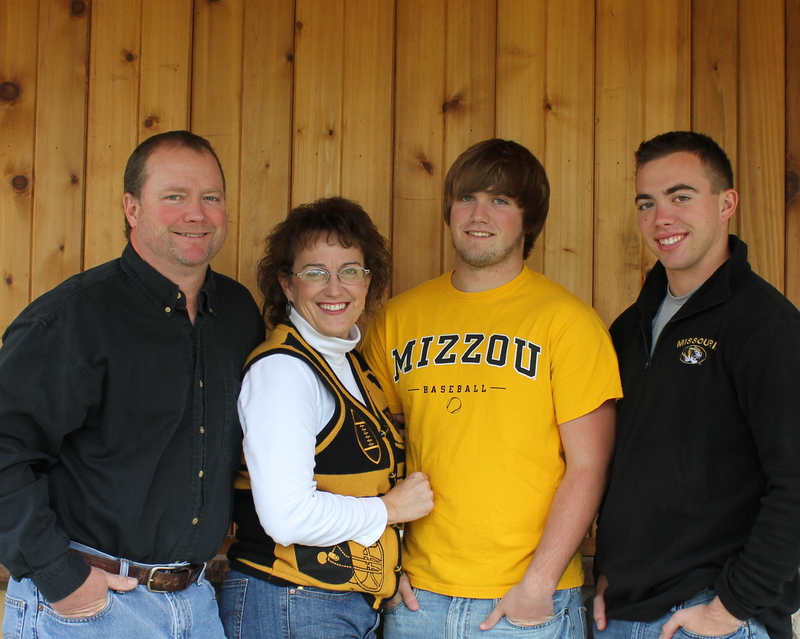 Angie with her husband and two sons. 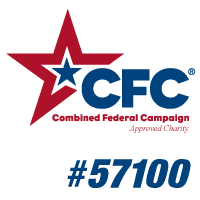 Since 2012, Marine Mom Angie Regan has served as the manager of Operation Prayers & Letters™ (Operation PAL), one of the outreach programs of MarineParents.com. Operation PAL provides support to wounded, ill, and injured troops through prayers and letters written by individuals in communities throughout the United States. As the Manager of Operation PAL, Angie is responsible for the coordination involved with handling thousands and thousands of hand-written cards and letters that people from all over the country send to MarineParents.com's headquarters. Angie then ensures that either she or one of the many Operation PAL volunteers read each card or letter before sending them to the recovering warriors. During her tenure as Operation PAL Manager, Angie has donated hundreds of hours of her time overseeing the sending of more than 17,000 cards and letters to recovering warriors around the country. Perhaps an even more difficult part of Angie's managerial duties is being there to support and listen to the families of recovering warriors during their time of recuperation. Angie stays in touch with every family on the list of recovering warriors and keeps track of where they are in their recovery process. Angie's work lends a personal touch to the program and the recovering warriors and their families greatly appreciate all that Angie does on their behalf. In addition to the 17,000 cards and letters that have been sent during Angie's tenure as manager, Operation PAL has sent an additional 80,000 cards and letters prior to her taking charge of the program, bringing the total number of cards and letters sent by Operation PAL to approximately 97,000 to more than 150 individuals. It's our goal to cross the 100,000 card and letter threshold by September 1 of this year. If we can average just 750 cards and letters per month, we'll make our goal. We know with your help that we can reach this milestone! Click here to help us reach our goal today! A team of 22 combat veterans has recently completed a week-long, 175 mile kayak trip through the South Carolina wilderness, beginning in Columbia and ending in Charleston. The 22 veterans represented the average number of military veterans who commit suicide each day, and the trip was intended to raise awareness of this alarming trend. Upon reaching Charleston, the participants had a parade thrown in their honor. Event organizers hope to make this an annual occurrence. 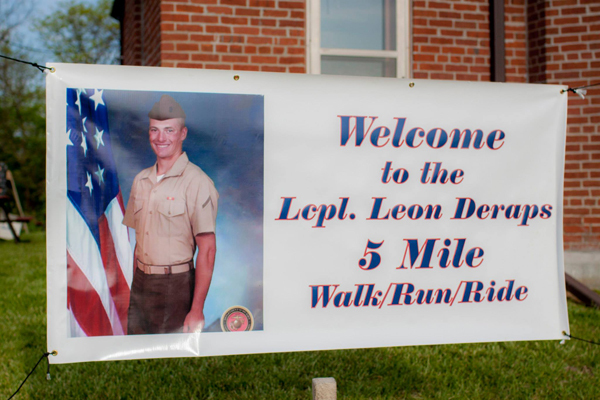 Last Saturday, May 2, four members of the Marine Parents staff, along with approximately 400 other supporters from the community, participated in the 2015 LCpl Leon Deraps Memorial Scholarship Walk/Run in Jamestown, Missouri. The event is held each spring in honor of Leon B. Deraps, a Marine who made the ultimate sacrifice for his country in 2006 while conducting combat operations in Al Anbar province, Iraq. The four Marine Parents staff members who participated set a goal of raising $500 for the Leon B. Deraps Memorial Scholarship Fund ahead of the event. 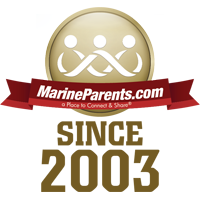 With just two days left until the event, our staff members had barely raised half of their goal, so we called on you, the Marine Parents family, to help us make it. As always, you came through when we needed you most, and thanks to your generosity and support, we ended up raising a total of approximately $550 for the scholarship fund! 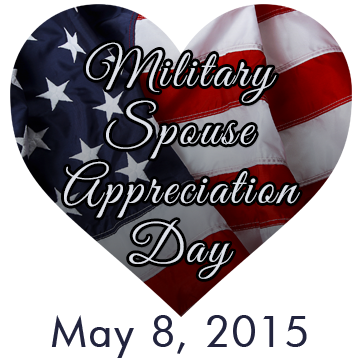 In 1984, then-President Ronald Reagan proclaimed May 23, 1984 as "Military Spouse Day." 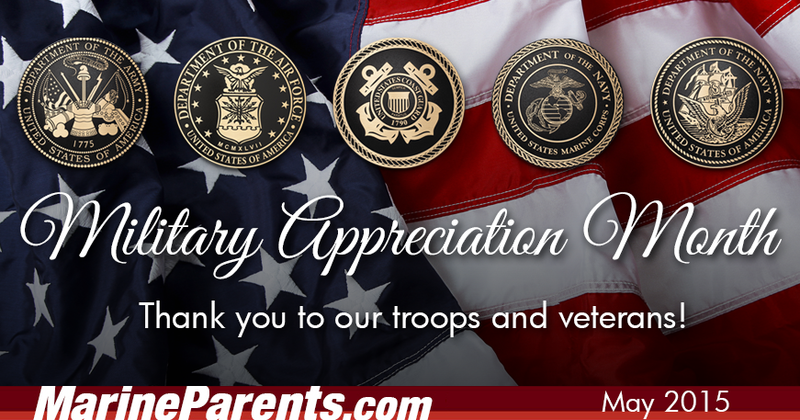 Each year since, the Friday before Mother's Day has been recognized as Military Spouse Day, a day to honor the commitment and sacrifices made on a daily basis by those who have a spouse in the military. 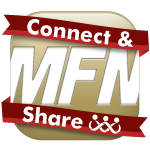 This Friday, we encourage you to thank a military spouse or spouses for the support they provide to our service members. 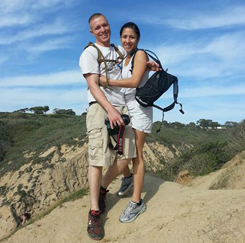 While military life is never easy, having a strong, caring supporter at home can help ease the uncertainty that often goes with it. 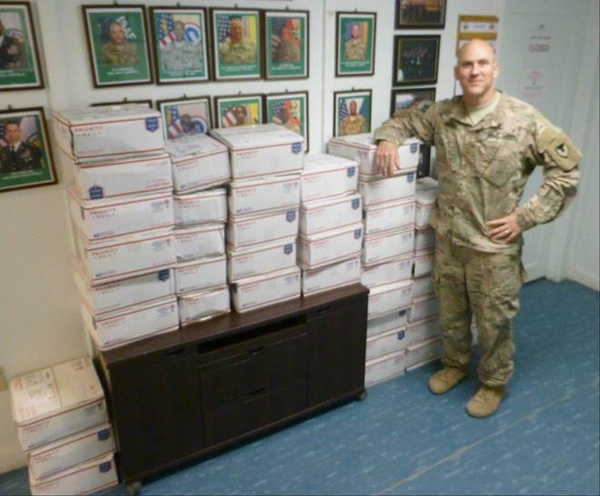 U.S. Army Major Harriel with the boxes his unit received. One photo might not seem like much to many people, but this one means a lot to us here at Marine Parents. In April 2015, 41 volunteers packed and shipped 300 care packages to our troops overseas. These boxes contained 1200 cards & letters, as well as items from three completed Eagle Scout Projects, and 174 of them were sponsored. Literally hundreds of hands went into packing and shipping these boxes. Major Harriel, a U.S. Soldier in Afghanistan, was more than happy when we reached out to him about sending his unit care packages, and, since January, we have sent over 500 packages to six different Army units stationed in Afghanistan. We recently received the photo in this article, along with the following message from Major Harriel: "We got the latest shipment of boxes. They are greatly appreciated. It means a lot to us that you guys still think about us. We all appreciate you guys looking out for us." This might just be one photo, but it shows that Marine Parents will continue to take care of and support our troops until every last one of them are home. Thank you to all of our volunteers who helped make this photo happen. 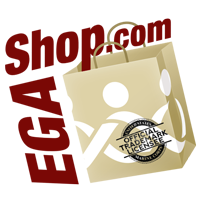 Click here to donate to the Care Package Project! Pat and her Marine son. 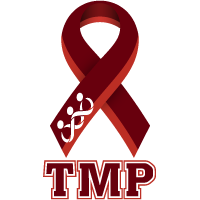 TMP Featured Participant: Pat R.
This month's TMP featured participant is a proud Marine Mom running in the Marine Corps Marathon for the second consecutive year- Pat R.
Pat, whose son is a Marine Sergeant having served since 2009, is running in support of the Warrior Support Team. According to Pat, "There's nothing like having the MCM medal placed around your neck by one of our proud Marines after you cross the finish line" and she encourages other Marine Parents supporters to join the fun of this year's Marine Corps Marathon in Washington D.C. this October. So far, we've had seven people sign up to volunteer at the 2015 Warrior Games, and we look forward to seeing that number grow!